Leaders in the size reduction and plastics market, Granutec exceeds customers' expectations by providing top of the line machinery paired with expert technical support. Auger Granulators use a specialty feeding technology, ideal for plastics recycling right from under the press. Designed to take on the biggest, toughest, bulkiest waste, the top drop granulators can take on items such as refrigerator door liners, panels, barrels, and gas tanks. The Tangential Feed Granulators are designed for reclaiming tough, bulky arts, sprues, and runners, light sheet, small diameter pipe and extruded profile and film. Beside the Press Granulators offer a modular design and high quality hoppers and cutting chambers in order to give you the best grinding results. Specifically designed to last, Thermoforming/Low Profile Granulators are built with high quality materials designed to withstand wear and shock loads. Whether you are looking for a degausser or you're just not sure what solution will fit your businesses needs, contact us today for a free price quote! At Granutec, we understand that each application is unique, and each client has a different need for special features built into their machines. We accommodate your needs by having a wide range of custom features. All components of our grinders are available as individual accessories for upgrading your existing equipment, and replacing parts to improve performance and efficiency. 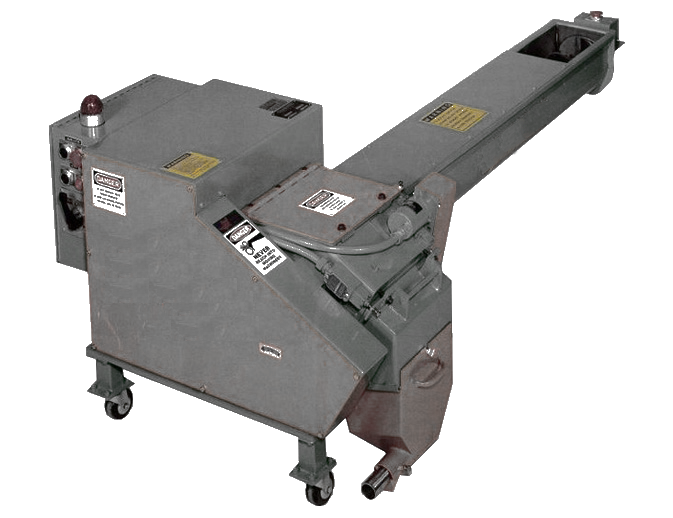 We stock many different types of granulator knives, screens, and parts. Our high quality supplies are guaranteed to meet the demanding needs of your material recycling. Our service department is built on a flexible, helpful, and timely philosophy of response and action. We ship all stock parts the same day as they are ordered, and custom parts are available for special applications.